Welcome to the Nordic Perl Workshop 2015! 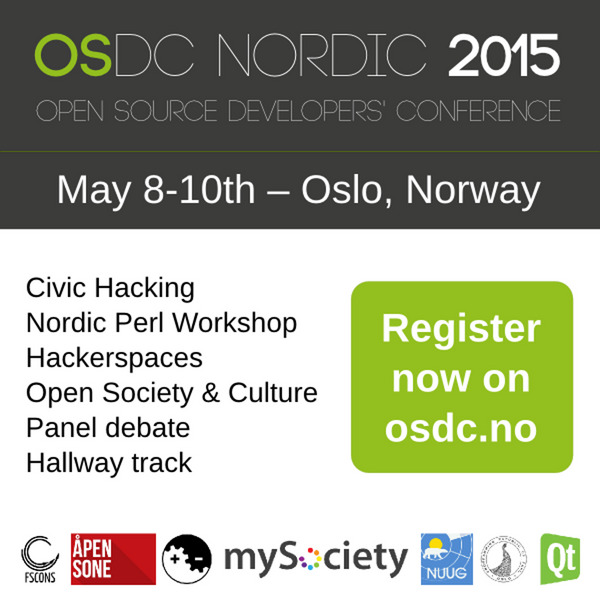 This is the largest conference for Perl developers in the Nordics, and this year we're in Oslo, co-located with the Nordic Open Source Developers Conference! Oslo Perl Mongers get the community rebate code, giving access to the conference for €50 instead of the regular attendee ticket (€100).